Sometimes, even when you're trying to stay true to a low-carb, low-fat diet, cravings still kick in. When that happens, it can be easy to give into them. What if you learned that you could indulge without deep frying or breading something in high-carb flour? You can, and the recipe below proves it. This recipe uses a low-carb flour to dredge the zucchini and pure Parmesan cheese instead of breadcrumbs. A few seasonings kick up the flavor but don't add any carbs. Fry it up in a little bit of olive oil, and you'll have the crispy, almost-fatty snack you've been craving. Place the almond flour in a medium-sized bowl and the beaten eggs in another. In a third bowl, place the Parmesan cheese, Italian seasoning and salt and mix well. 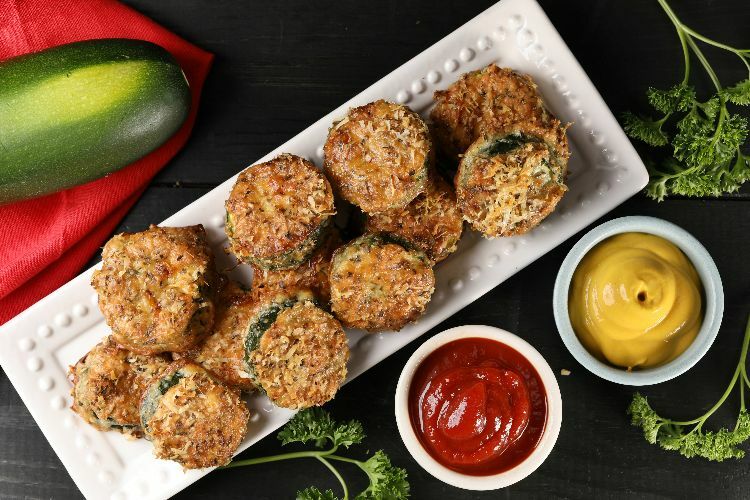 One by one, dip the zucchini rounds into the almond flour, the eggs and the Parmesan cheese mixture. Place on a baking sheet or large plate and continue until all the zucchini has been prepared. 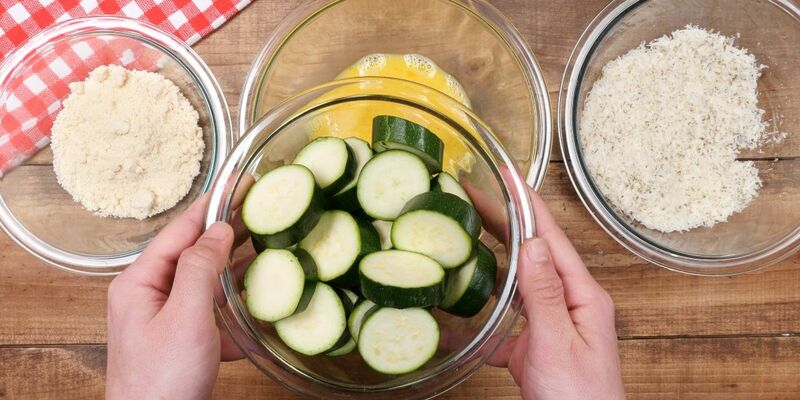 Grease a baking sheet and place the zucchini rounds on it, in batches if necessary, so they are not overcrowded. Put the baking sheet in an oven pre-heated to 400 degrees F and cook for 20 minutes. Transfer to a paper plate and sprinkle with a little more salt.